Discover a more collaborative way to plan and track your marketing efforts. When you host an event, there are a lot of things to monitor. Event budgets are among the most important aspects of event planning and management. Whether it's a large concert performance or a small fundraising event, there are a wide range of expenses and revenues to manage—and without a centralized place to track them, important items can fall through the cracks and push you over budget. Estimating expenses and revenues accurately is essential for managing a successful event. This is especially true for events that will be held on a recurring basis, such as annual conferences, seminars, or music and arts festivals. In this article, you’ll find event planning budget templates to help keep you on track. An event budget spreadsheet or worksheet can help you track event expenditures, such as venue rentals, refreshments for attendees, marketing and advertising costs, and travel fees. You can also use it to track incomes, such as ticket sales, vendor payments, merchandise sales, and advertising revenue. In this way, these free event budget templates can help you check planned against actual costs, and verify the accuracy of profit projections. We've also provided customizable event budget templates in Smartsheet, a work execution platform that empowers you to more efficiently manage event planning efforts with real-time collaboration and process automation. 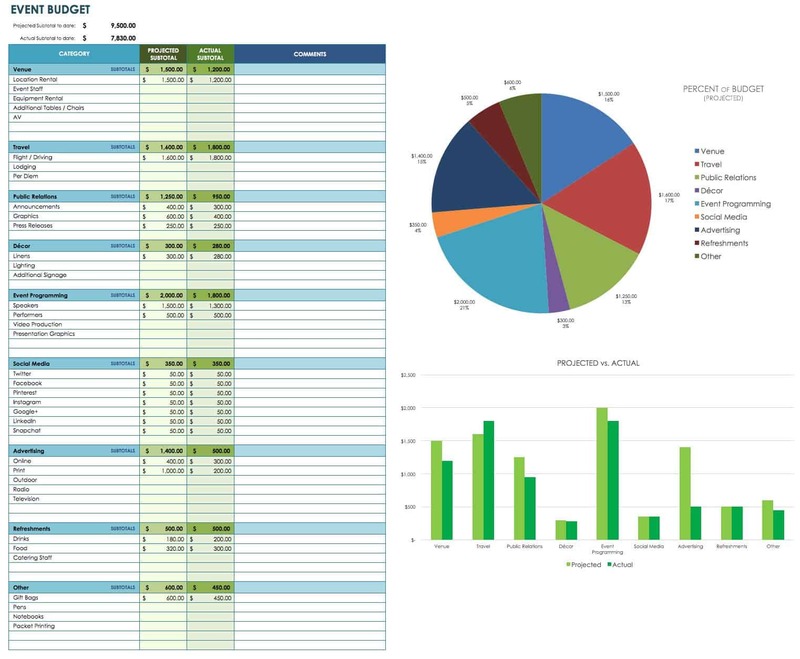 This event budget template for Excel can be used for any type of event. As a more advanced events budget template, it may be used later in the planning process, and/or to calculate expenses for more complex events. It includes a range of expense and revenue categories that can be customized for your specific needs, including venue rental, travel costs, public relations expenditures, event programming fees, vendor expenses and incomes, and ticket and product sales. It also offers charts for visualizing actual versus projected profit and loss, so you can track the accuracy of your event budget forecast. This simple event budget template can be used early in the event planning process to jot down expense estimates. It allows you to estimate costs across a variety of categories, including staff wages, venue rentals, marketing and communications expenditures, and attendee services. 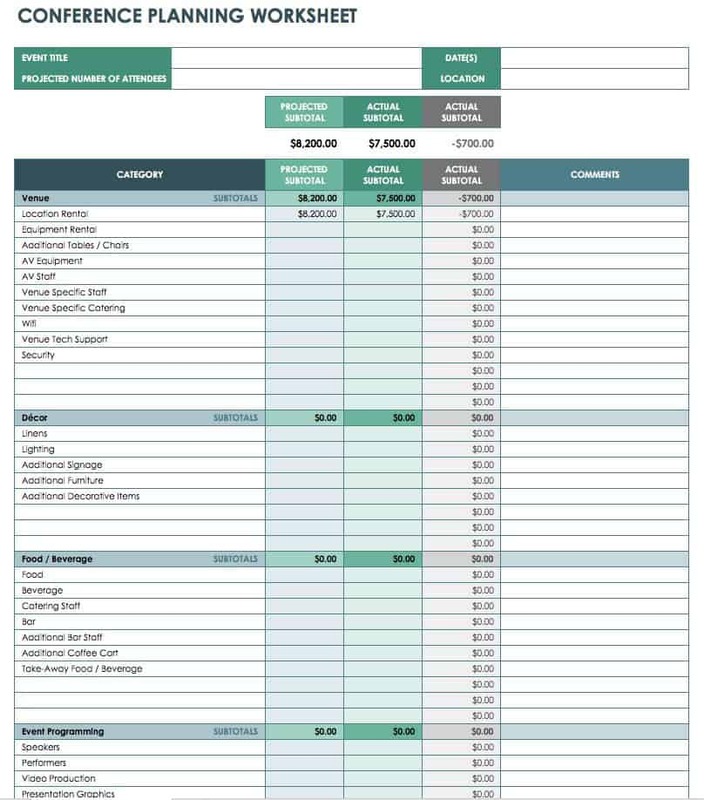 This event budget worksheet will give you an idea of how much revenue is needed to recoup expenses, what price to charge for admission, and how many tickets must be sold to make a profit. 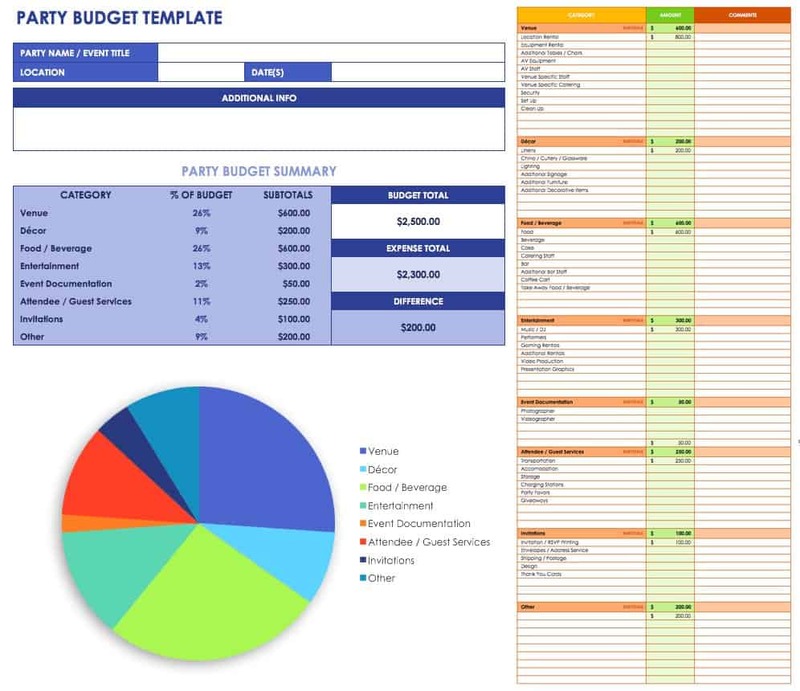 This event planner budget template can be used to plan parties. It contains a variety of categories related to party planning, such as invitation and RSVP card printing, table and chair rentals, decorations, and refreshment costs. It also allows you to plot the difference between your event planning budget and your actual expenses, and displays this information on an easy-to-read chart. 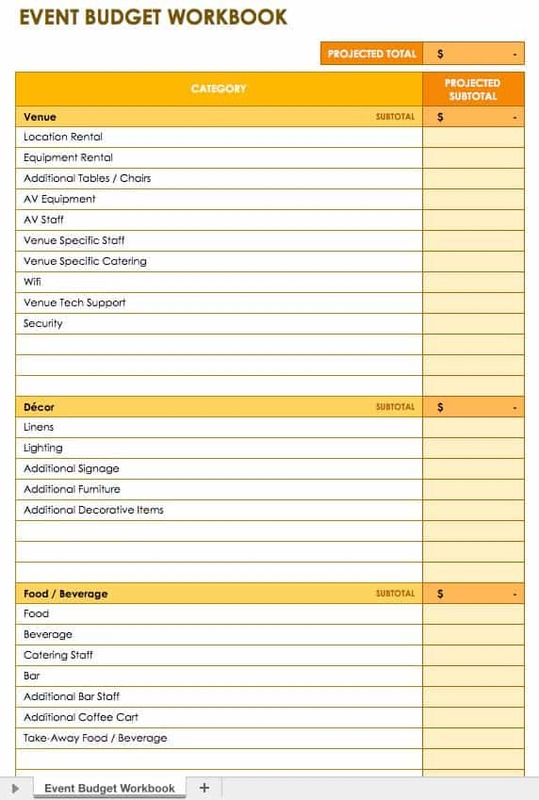 This template for event planning and budgeting is used to calculate costs and incomes for a large conference. It offers a sample event budget for a multi-day conference event, and automatically calculates planned and actual costs for venue rentals, audio-visual equipment, speaker fees, hotel rooms, food and beverages for each day of the conference, printing and signage, and more. Use this worksheet to manage more complex, offsite events that span multiple days, and that involve speakers and guests from a variety of locations. Finding the right template can help you get started planning your event budget, but that’s only one factor to consider for your overall event planning efforts. Look for a solution to manage your event and marketing campaign efforts that provides real-time visibility, access to internal and external stakeholders, and alerts for when your tasks, budget, or campaign are at risk. Smartsheet is a work execution platform that enables enterprises and teams to get from idea to impact - fast. Extraordinary marketers rely on Smartsheet for campaign management, initiative tracking, content calendars, event management, and more. Try Smartsheet to discover why marketing professionals around the world use it to more effectively track and manage their marketing efforts. 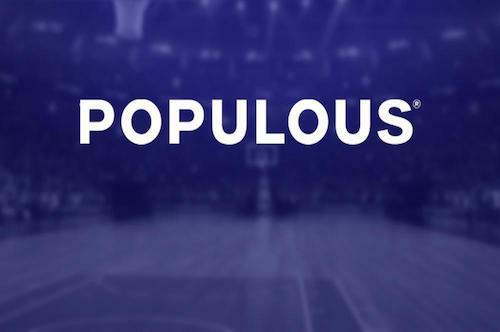 Learn how Populous coordinates thousands of details to plan the biggest sporting events. 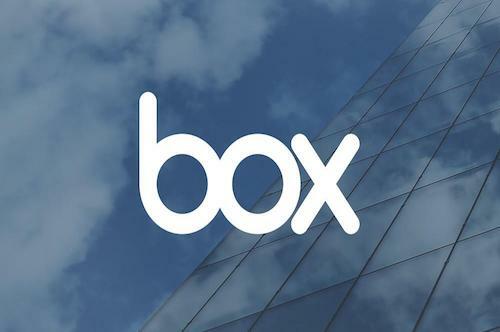 Discover how clear project mapping helps Box execute global events.